Such a fantastic intro into Stacey O'Neale's new series Mortal Enchantment. 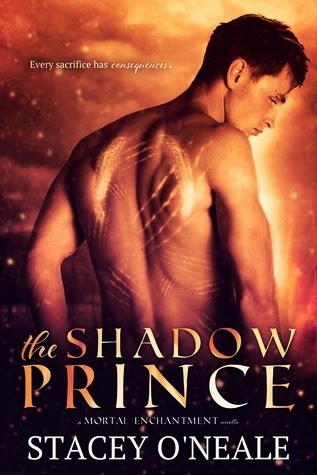 The Shadow Prince packs such an exciting and intense punch in a little novella. I love everything faerie, and hot boy, and exciting drama and this novella has it all! I really like Rowan (hot name by the way) as soon as we meet him. You can tell he's strong and a good-hearted guy. On top of that his looks aren't so bad either. The fact that he goes against his court in order to do what's right totally sold me on him. Also, his dedication to friends and what he believes in made me love him that much more. I really hope we get to see good things with Kalin and even Marcus in the future books. 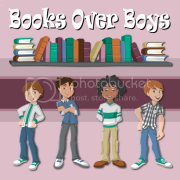 Overall a fiery novella filled with so much action. After being in Rowan's head and loving him, it'll be interesting to switch over to Kalin's view. The Shadow Prince made me super excited for the series and I can't wait to get my hands on the first book!